Being a WordPress site owner myself I’ve seen servers fail and loss of data on more than one occasion. Hardware fails, and hackers will try to compromise your site. With that in mind it’s very important to have a tried and tested backup routine, so that you can restore your site should the worst happen. We’ve previously shown you some of the really useful plugins that you can use to migrate your WordPress site 3 Plugins for Easily Migrating a WordPress Site, Tried & Tested 3 Plugins for Easily Migrating a WordPress Site, Tried & Tested These Wordpress plugins can semi-automate the entire process of migrating a WordPress site for you. Read More , but it’s also important to backup on a regular basis, not just when you intend to migrate it. On my websites I run daily backups to a NAS drive Need Network Storage? Here’s How To Build Your Own NAS Box Need Network Storage? Here’s How To Build Your Own NAS Box NAS stands for Network Attached Storage. As Windows became easier to use with network attached devices, and hardware prices fell, this term started to be used in the consumer market. Today there’s a wide variety... Read More via FTP, and to do this I use a WordPress plugin called UpdraftPlus. You can easily install UpdraftPlus from the WordPress plugins page. Click on the add new button then search for UpdraftPlus. Once installed, click the settings menu and select UpdraftPlus Backups from the sub-menu to configure your backup routine. Automatic backups on a regular basis – anything from monthly right up to every 4 hours. Backup both your database and WordPress files. Stores backups locally on your web server, or on remote/cloud storage including Dropbox, Google Drive, Amazon S3, FTP, and many more. Automatically overwrite old backups to conserve free space on your drives. Optional email alerts on completion of your backups. Accessible log files of all backups, which is great for troubleshooting issues. What’s the point in having a backup system if you don’t know how to restore from them? That’s why you should not only run backups, but also test them to make sure you can recover your website should you ever need to. Testing your backups is very simple. 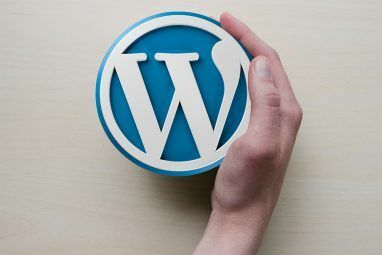 All you need to do is create a second WordPress site on your web server (or a local WordPress instance Set Up Your Blog With WordPress: The Ultimate Guide Set Up Your Blog With WordPress: The Ultimate Guide Want to start your own blog but don't know how? Look to WordPress, the most powerful blogging platform available today. Read More ), so you could have something like backuptest.mysite.com which would need to have a vanilla installation of WordPress on it. The others.zip file contains files from your web server that aren’t in your plugins, themes, or uploads folders. You won’t really need this file as you will be able to restore your site without it. Now that you have a copy of your backed up WordPress files and database, you need to uncompress the three zip files (plugins, themes, and uploads) and connect to your new blank WordPress test site via FTP. You can do this by installing a free FTP client like Filezilla Master FTP File Transfers On All Of Your Sites With FileZilla Master FTP File Transfers On All Of Your Sites With FileZilla A large number of FTP clients of old had hiccups when it came to large file transfers. The apps experienced the usual timeouts that you would expect when the computer sits there for 15 to... Read More . Once in the wp-content folder you need to replace the plugins, themes, and uploads folders on your web server with your backed up versions. Don’t worry if you don’t see an upload folder, it isn’t present because you haven’t uploaded anything to your WordPress media library yet. This part may take some time, especially if you have a slow internet connection or if you have a large website. So whilst you’re waiting for the files to upload head over to phpMyAdmin to import your database backup. Most web servers have tools like cPanel or Plesk installed which allow you to manage things like email accounts, FTP access, web app installations like WordPress, and your databases. Under the database section you should see an option to launch phpMyAdmin — a tool that allows you to manage your databases via your web browser. Click on the “Choose file” button and select the db.gz backup file from your backup. Leave all other settings on their default value and click on the “Go” button. This will now import your backed up database. Once your files have finished uploading and your database is imported, navigate to your test website address using your browser. Provided your backups are working correctly you should now see a carbon copy of your live website. Congratulations, you now know that your backups are working as intended! If your website is damaged for whatever reason and you need to restore for real, you can follow the exact same process as above. However, instead of creating a test site you simply remove and re-install WordPress on you main site, then follow the same process. Backing up any crucial data is extremely important, but knowing how to restore that backed up data when you need it is just as important as the backups themselves, if not more so. A lot of people think that it will never happen to them so they don’t backup. But why take that risk when the process of creating and testing backups is so simple with UpdraftPlus? Do you guys have a different method of backing up your WordPress site? Or maybe you don’t back up at all? Either way we would love to hear your thoughts in the comments below. Explore more about: Content Management System, Data Backup, Wordpress, Wordpress Plugins. Hostinger Offers Affordable Web Hosting With Premium FeaturesHow Do I Convert My Blog from WordPress.com to WordPress.org? I use NoProblemBackup from CombinationPlus for MySQL database backing up. Handy tool, recommend it. It also can transfer your backups from local machine to cloud services (summary NoProblemBackup has 7 destinations for backup files). Great article. I will now try this Updraft plugin so I don't bother the guys at Rosehosting with migration requests. This did not work for me. I was hacked and am unable to get into the website now and it is not showing, just an error message. I did make a backup and followed your instructions but it is only showing the default setting of the theme....none of my pages or content. Any ideas? I know this is an older post, but it was really helpful to me - it was hard to find info about backing up to localhost using free Updraftplus, thanks for sharing! Useful blog post , I Appreciate the details , Does anyone know if I could find a sample a form example to complete ? do we have to install the wordpress then move or we do not need this at all? 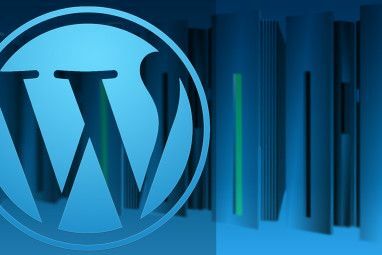 If you install wordpress first, then no need to go back to CPanel. 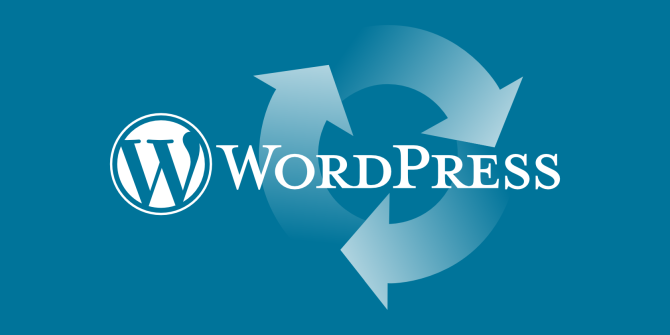 you can directly restore from your wordpress. Kevin: I use Updraft and your advice is great. I will see if I can prove that the restore capability is really going to work when i need it. Does this make sense? Are there any other files I should be duplicating? I also download these periodically to save in my PC but usually when I have a problem the dupicated files bale me out quickly since they are already on my server. What you do absolutely makes sense, especially as a quick-fix approach. I combine different methos of backing up my wordpress website. You may also want to make a backup of the whole public_html folder if you want to make it safer in case of serious failures. Apart from using UpdraftPlus plugin amd manually making copies of files I'm going to change, I regularly make a full cpanel backup (ora partial cPanel backup) to make a copy of all the files/database before any major updates or just to makea backup copy. Using cPanel backups allows not to spend time on figuring out what files to backup if you have any issues with that and it allows to be on a safe side in case of hacking. You are welcome to check if out. I did backup of my site with updraftplus regularly but actually did not need to restore it up to this morning, just want to say that backup is really crucial thing. Though one day is lost but everything is back, up and running. Once again do your backup regularly as a part of your restoration plan. Sometimes bad things happen expectedly and if you have one you are good. Nice guide and encouragement to backup your site and data. Really wonder with enthusiasts but thank you Kev for your time and effort. 1>. If I just go through Filezilla and download the entire public_html files onto my desktop , It cant be used to restore by site back up ?? Do I need a database also ? I have been trying to access my test website with Filezilla but even though the information (username, password etc) is correct I keep getting "connection timed out" "could not connect to the server". I tried to follow tutorials on how to use filezilla with wordpress but I still can't get it to work. Could it be that my ftp address is wrong? My test website url is hhftestblog.wordpress.com and as FTP I used http://ftp.hhftestblog.wordpress.com. I'm pretty desperate, do you have any ideas of what the problem could be? This guide isn't designed for people who have wordpress.com blogs. This is for people who host their own wordpress.org blog. I apologise if that wasn't clear. Thanks for a great guide ! Like others, I've found backing up WP to be painless, but finding a good restore plugin that works well and is trustworthy, a challenge. Question about the restoration process: I'm moving from a localhost WAMP install to a live server. In regards to the DB, when I create it on the live server is it best to use the same DB info as the localhost (DB name, Username & pass, etc.) that is used in localhost config.php, or does it not matter since I'm importing the data through phpMyAdmin? You mentioned in another comment that when moving domains that I may have to also update the site URL in the DB as well as WP. I'm assuming that would also apply in my case? Hopefully, that makes sense. Thanks ! why is it so hard to just do such a simple task. I don't want to muck around in the "back end" and just back up .. end of story. WordPress is such a hassle. The time ive had mucking around with this. WPmanage has a limit to the sizes of files you can download before it gives an error (they wont tell you this). Other companies have crappy payments systems and couldnt pay. Why is it so dam EFfen hard! You're preaching to the converted my friend. Backups on WordPress have been a particular hassle for me personally, which is why I decided to write this article. I've used many different tools for backing up, and I've found Updraftplus to be by far the best free tool, and the support is extremely good. Since you mention ManageWP, I've recently migrated to one of it's competitors, InfiniteWP, the basic version is free, and self-hosted, but you can buy addons. I've bought the cloud backup and scheduled backup addons (costing $109) but they're so worth it. The backup system is bulletproof, and I can easily use it to schedule the back ups on my many WordPress sites. If you're looking for a free solution, use Updraftplus, if you want flexibility, I'd highly recommend InfiniteWP - although, they're not that cheap. Thankyou Kev for the response. I had tried icontrolwp and the worpdrive but i have problems with my visa and the verified by visa system wont let me proceed to signup with them but generally icw was good. I will check your suggestions InfiniteWP, updraftplus is working for me since i posted. cheers and thanks again. I changed the table prefix as you mentioned above and solved my issue. thanks for this great information, my wordpress site has damaged lots of time and all data was deleted, but i didn't know about restore and backup, again thanks for this info..now i will always backup my site. Hmm. I noticed something interesting. I logged into PHPMyAdmin and check the tables in DB. Interestingly, all table names start with lrq_ instead of wp-. For instance, instead of "wp-users" (what it should be), it shows as lrq_users. I am hosting my sites at bluehost (same as yours I believe by looking at the above instruction). It looks like when I installed a wordpress using bluehost cPanel (MOJO marketplace), it automatically created a wordpress database tables starting with lrq_ instead of wp_. I think that's why it didn't import any posts or pages properly. Hey Chloe, I'm not using Blue Host, but I have in the past, and I actually found them to be pretty bad. But hey, a company the size of Blue Host are bound to have a few unhappy customers. Ok, the fix for this is very easy, Blue Host generates a different table prefix for every wordpress instance. By default this is wp, and yours is lrq. All you need to do is go back on to your ftp?account, and download the wp-config.php file from the root of your websites files. Then, open this with a text editor, and look for "table prefix". 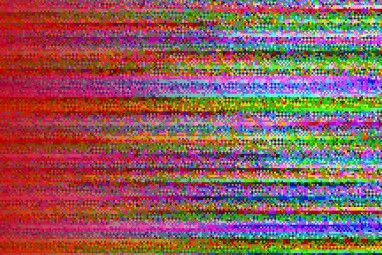 It's usually near the bottom of the file, and it will be something random like "frw_". What ever it is, change it to say "lrp_". Save he file, and re-upload it, overwriting the old version. First of all, thank you for the wonderful tutorial. I followed your step-by-step guide and everything went smoothly except for one thing: my posts are not transferred to the test site. In WordPress, all of your posts and pages are stored in your database, so it sounds to me like either your test site isn't talking to your db correctly, or, something didn't work quite right when you imported the backup db. When you go into PHPMyAdmin, and then select your test db, can you see it is populated with tables? There should be a number tables, that by default all start with "wp-". For example, "wp-options", "wp-users" etc. Also, is it just your posts, or have your pages not imported either? The menu links all redirect to the old domain, how can i fix that? You need to log back into PHPMyAdmin and then open up the database for your website. You will then see all the tables within that database, click on the wp_options table. In there, the top entry is "siteurl" and the option_value will be the URL for your website. Simply change this to the new domain name ensuring that you keep the http:// prefix. Log in to WordPress and go to Settings > General. In this screen, update the WordPress Address & Site Address fields to the new domain name, again, keeping the http:// prefix in place. Making these two changes will update all of the menu items to the new domain name. However, if you are still having issues with custom menu's, or images/links that are looking for the old domain name, you can use the Velvet Blues plugin (link below) to update the URL's across your site. Thanks for the resourceful post. I learn something new. Thanks again buddy. pls send/tell me the beginning steps wihth wordpress setup also ,and how to connect wordpress with database. I would highly recommend Codecademy, they're really great and that's how I actually first started learning how to write in HTML and CSS. To do it manually though you would need to edit the options.php file with your DB name, username, password, and path. Once that's done WordPress will be able to use whatever DB you specify. If you're just getting starting with WordPress then I wrote a getting started guide on my persona blog, RefuGeeks recently. Here's a link to that if you're interested as it has a lot of useful information on how to get started with a new WordPress site. Good advise for an IT professional, I suppose, but not enough information for a non-expert. It would help a non-professional like me to know to where the back up "goes" once it is made. Is the back up made on the web host server or on my PC? How do I get the back up file (s) to download onto my PC (if download is what must be done). Anyway, I do appreciate that you've taken the time to post what information you did. Thank you. Hi Richard, thanks for taking the time to comment. I'm sorry if it wasn't clear in the article where the backup will be stored. I thought I made that clear by describing all the different backup locations like Dropbox, FTP, Google Drive, and email etc (see the second screenshot for all options). To clarify, by default if no backup location is specified then UpdraftPlus will save your backups on your web host at /wp-content/updraft. If you choose one of the multiple remote locations then it will backup to your web host, transfer to whichever remote location you picked, then remove the backup from your host. It will keep the txt log files on your host just in case you need them, but these are very small. Ahh, there it is! The language in the list of options for what to do with the backup is a bit confusing. FTP is listed as an option, but FTP is not a "location," hence my confusion. Now I'll use FTP to download my backup. Thanks a million. Hi Kev, I am using updraft plus backup with Dropbox for backup storage. However, as you have replied above that the backup stored in my host is removed after transfer, but in my case updraft is storing backups both in Dropbox and host server. How can I configure updraft plus to download/store backup only to Dropbox but not in my host location? Please suggest. There is a setting within expert settings, to turn this on, scroll to the bottom of the UpdraftPlus settings window and select the lick that says "Expert Settings". Once they're expanded you will see an option to delete the local backup. When this is checked, it will delete the backups from your server once they have ran. However, if you enable remote storage, like Dropbox or FTP, this setting will be turn on by default. Maybe you turned this off at some point in the past? Either way, this should fix the problem. I have found interesting deal on http://www.find-your-software.com Has anyone tried it? Well done Kevin, a very well thought out article. Very informative.